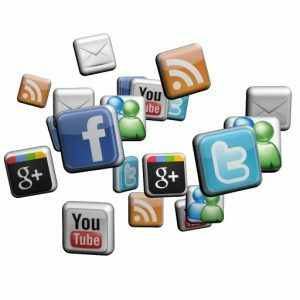 Are you “doing” social media right? You ever wonder IF what you are doing on social media is the right thing? I mean, you know how to (kind of? lol) work on your Facebook business page, or Twitter, Google+, LinkedIn, etc etc. Or maybe it’s that you had a personal page and figured, it’s the same thing, so I can do the same on Facebook, right? Did you know that Facebook filters your posts on your business page so even if you have 500 followers, you’ll be lucky that 50 of them are seeing your posts. Did you know that you can boost a post for $5 and reach 5-10 times your current following? Do you realize the value and importance of having profile and cover pictures on your profiles? Do you know what you are missing out on when you don’t update your profile information? Did you know that posting 1-2x a week is a thing of the past? These and other questions are along the lines of the conversations I have with clients and other small business owners. There are a lot of misinformation and misunderstandings. Let me take a look at up to 2 social media profiles of yours and provide you with an audit of what you are doing right, what you could add to your social and how to improve. ACT NOW – This valuable service – for the Women Mean Business Expo – is available to you at ONLY $25. This price WILL remain through this weekend but I can not guarantee how long I will keep it at this price so act now to scoop up this deal.